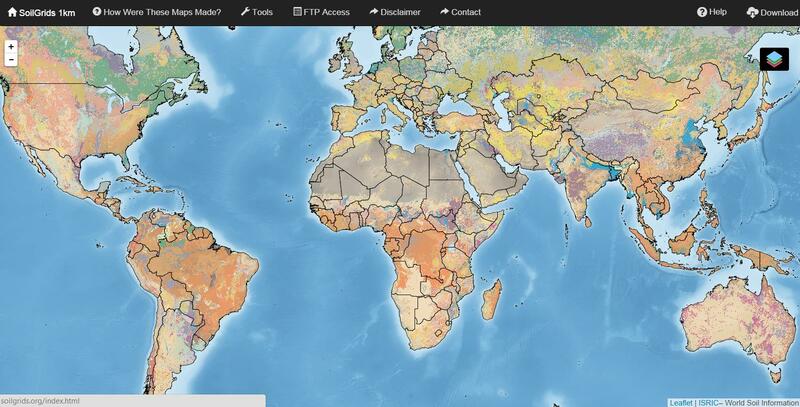 I would like to introduce you the newly global coverage of soils grid at 1km ground resolution (online since August 29th 2014). The dataset is funded and provided by ISRIC. What attributes does the data contain? 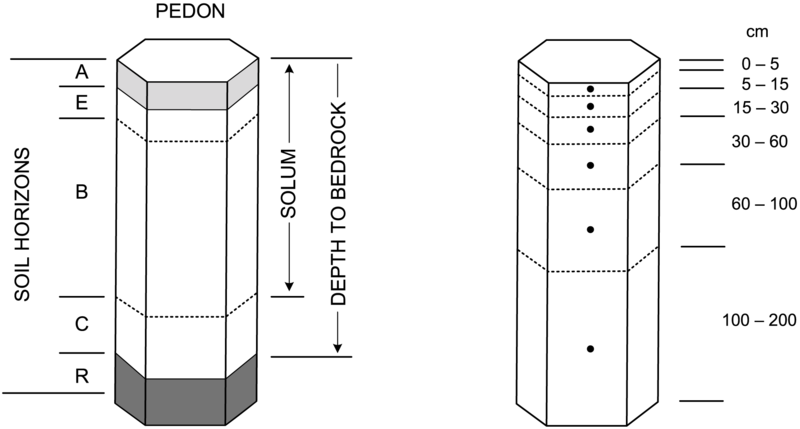 Standard stratification and designation of a soil profile: (left) soil horizons, solum thickness and depth to bedrock (‘R’ layer), and (right) six standard depths used in the GlobalSoilMap project . How are the grids been generated? According to the data description the global coverage is generated by modelling it using a compilation of major international soil profile data (110.000 soil profiles) and a selection of ca. 75 global environmental covariates as soil forming factors like climatic and biomass indices, lithology and taxonomic mapping units. World distribution of soil profiles used to generate the SoilGrids1km product (about 110,000 points). Examples of input layers used to generate SoilGrids1km: (a) long-term day-time MODIS land surface temperature, (b) percent cover Chernozems (based on the HWSD data set), and (c) global soil mask map. How consistent are the data? There are some constrains on the dataset. Downloading the data is very easy. 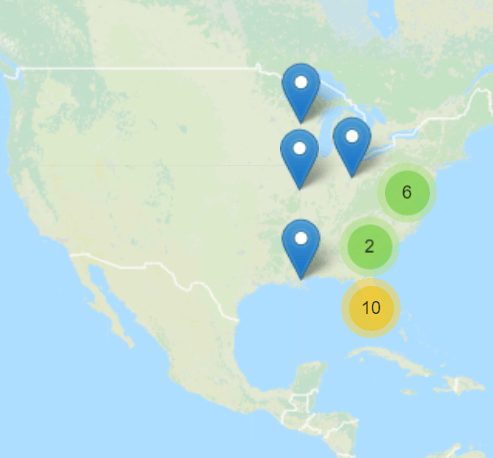 Use this map overview to browse your area. Select it and download it. But anyway, in my opinion it’s worth to download a sample and try to play a little bit. I’m sure there will be the moment when you remember the dataset and come back to work on it. Please find a description of the data here.